Shortcodes can be inserted into both the Papillon Editor and HTML Editor to display dynamic objects across your hub without the need for complex and ugly code. They contain information on what should be displayed (data); how it should be presented (the format); and how it should behave (actions). Shortcodes usually inherit both styles and data held globally which means that all instances can change from one central update. Papillon 0.5 and Papillon 1.0 both support shortcodes across the following objects: Buttons, Content, Feeds, Images, Speakers, Sessions, Videos and Zones. 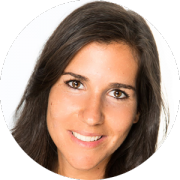 With 16 years international marketing experience, Carolina has been working specifically in the digital media industry for 12 years, with are cord of leading digital business transformation within large organisations. Previous to Google,Carolina led a Digital Marketing team at Direct Line Group. She has also spent approximately 5 years agency side, working with large international companies to develop their digital marketing capability and ensure innovation and technology are integral to marketing operations.